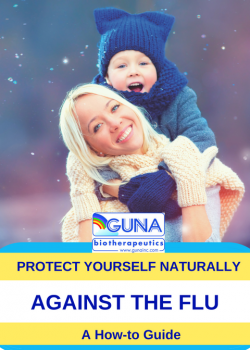 PROTECT YOURSELF NATURALLY | GUNA INC.
We are happy to share with you a new publication: Protect Yourself Naturally Against the Flu: A How-to Guide in the study of influenza. This guide explains the defense and treatments of influenza. Details on vaccination, the most at-risk influenza categories and protection against influenza are discussed throughout the guide. The guide offers insights into how modern remedies improve the immune response against the many influenza-like viruses and mutated viruses. This publication on influenza is published by the GUNA scientific department.